Nation remembers Veer Savarkar on his 133rd birth anniversary on May 28. Lok Sabha Speaker and Leaders of various Political parties paid floral tributes to the freedom fighter on his birth anniversary in Parliament house. Earlier PM Narendra Modi in a tweet paid tribute to Veer Savarkar on his birth anniversary and called him the son of soil. 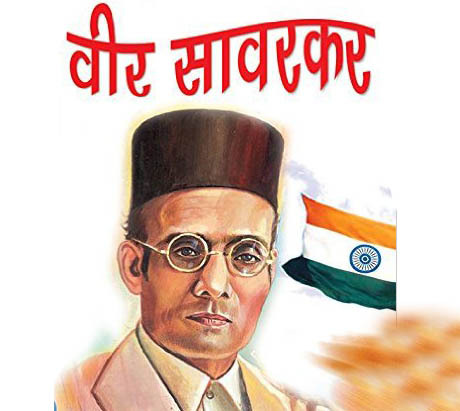 Born on May 28, 1883 in Nashik in Maharashtra, Vinayak Damodar Savarkar, later known as Swatantraveer Savarkar, was a revolutionary leader who was imprisoned by the British in the Cellular Jail in Andaman and Nicobar Islands.